One of the great things about owning a smart phone is the great screen images that the device generates, especially when using an app. Sometimes you may want to just clip the screen and maybe post the image to your blog or Bluetooth it to someone. But how do you do this? It seems Google has not created an automatic screen capture function into Android so you will have to take the Android SDK route to get this one done. Here's how to do it. If you are using Mac OS X, however, you do not need to install Java as the OS comes with the inbuilt tools to run the SDK. Step 3: Prepare your phone by enabling developer mode. 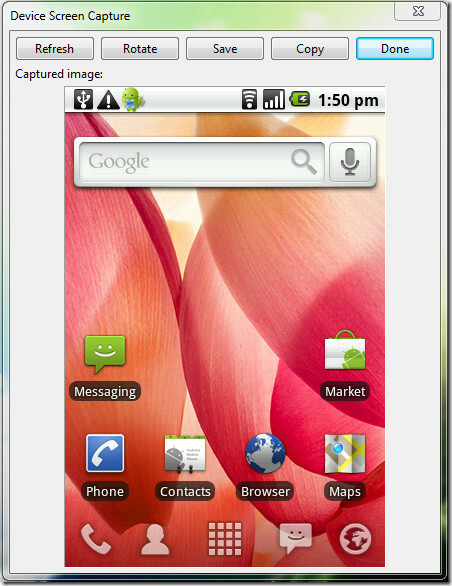 For most Android phones, you can do this by accessing Settings > Applications > Development > Check "USB debugging". Step 4: Connect your Android phone to your computer and make sure all the drivers have been installed. This usually happens automatically. 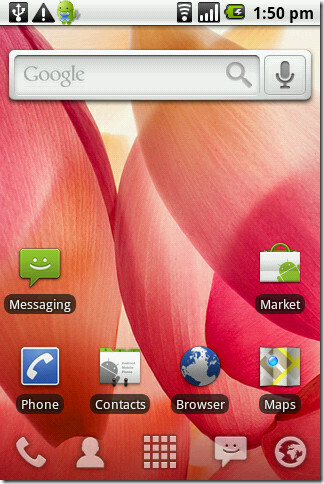 The Android screen should show a USB symbol on the status bar when fully connected. 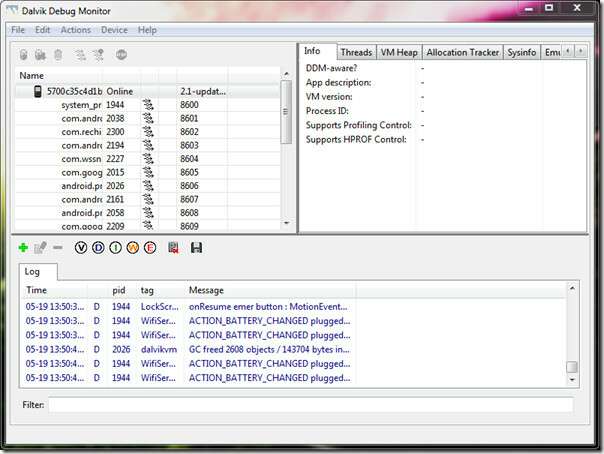 Step 5: What you need now is to find the Dalvik Debug Monitor. This is the application you will be using to access your Android screen and take screen shots. 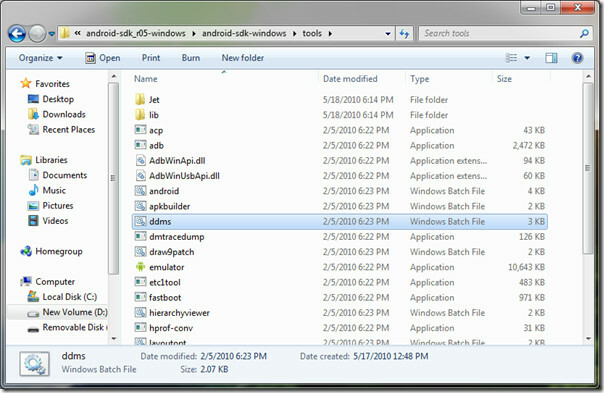 To do this, you will need to find the Program Files folder where you installed the SDK. Once you find it, navigate to the "Tools" folder within it and look for a file labeled "ddms", which is short form for Dalvik Debug Monitor. Step 6: Right click on the "ddms" file and choose create shortcut. This will create a shortcut of the application launcher on your desktop. Step 7: Go to your desktop and double-click the "ddms" shortcut. This will launch the application. What you will first see is a black window open (such as the DOS Prompt console) very briefly and then the GUI will open in a new window. If it quits on you, double-click the icon again. Step 8: Now that you have your phone connected in debug and the Android SDK DDMS successfully launched, look for a notification in the DDMS screen showing that your phone is connected. Check under the "Device" menu, and click on "Screen Capture" or press Control +S and a new window will pop up showing your phone's screen as it is. This new window will have a number of options including "Refresh", "Rotate", "Save", and "Copy". When you click "Save", you will be prompted with the "Save" window and you can save the screen shot to whichever folder you please. The screen capture works on any screen instance you have running although debug mode disconnects the SD card, meaning you will have no access to any files on it. This method may not be the easiest but the best part about it is that once installed, you will not have to keep reconfiguring it; all you will need to do is click on the DDMS shortcut on your desktop and you are good to go. Author: Daniel Mbure is a writer, strategist and web entrepreneur. He contributes to Key Insurance Quotes as well as a number of technology websites exploring the intersection of technology and entrepreneurship.